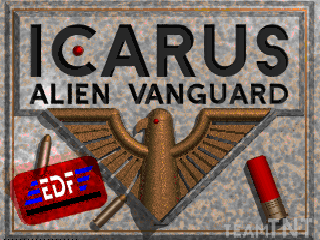 NightFright, member of the Doomworld forums, recorded all the music tracks from Icarus: Alien Vanguard with Arachno SoundFont, BASSMIDI Driver and the AIMP audio player/converter. The pack is available in two variants: a high-quality version aimed at being played on any audio device, and an other version optimized to be used as a replacement soundtrack in the original game, with all files organized and named to be added directly on any DOOM port supporting music packs in ZDoom's format, such as ZDoom itself, GZDoom or Skulltag. Thanks to NightFright for his support! All versions included, this arrangement totalizes 4204 downloads so far.